The client needs a template for creating a site or site collection with Publishing enabled, custom branding and master pages, 3 custom site features and 8 custom web features activated in a specific order, a custom welcome page and a customized subset of allowed child site templates. The Publishing featureset requirement immediately necessitates a site definition (as opposed to a simple site template webtemp_*.xml file). And even if you can scrounge enough code from the interwebs to tape together all of the hidden features required to activate SharePoint’s OOB Publishing featureset, you still can’t guarantee the order in which your custom features are activated (for example, SharePoint creates the default.aspx page LAST– so if you have a feature that references it, good luck). It’s impossible to truly ensure feature activation order. Logging is limited to whatever is built into your feature activation code plus SharePoint’s native site creation logging, because your site definition is declarative. onet.xml files are hard to read and harder to explain to your client in KT sessions. Since 2010 , we’ve actually had the ability to roll a custom flavor of SharePoint’s provisioning class and completely override the process. Don’t feel bad if you didn’t know about this; I sure didn’t. You can debug it at runtime because it’s written in C#. You can specify the exact order of feature activation, as well as run any additional custom code that does anything you want (for example, writes custom logging data or creates a sub-site automatically). You can choose to implement an out-of-the-box site template and then perform customizations, or you can implement a custom site definition and still control the order of feature activation. The only XML required is a simple webtemp_*.xml file that defines your template name and some metadata. 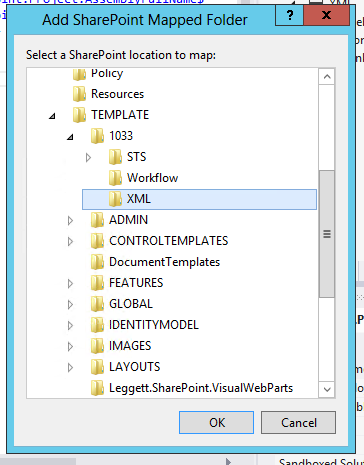 Create a SharePoint solution that includes a subclass of SPWebProvisioningProvider. Override the “Provision” method of the class and call the static SPWeb.ApplyWebTemplate(string strWebTemplate) method, passing the name of an out-of-the-box SharePoint site template (for example, “BLANKINTERNET#0”). Add a web template file (mapped to the TEMPLATE\1033\XML folder in the hive) with a custom web template to your solution and reference your custom provisioning class in the template definition. Hey, listen! It’s important to note that what I described above is a very simple implementation of a custom provisioning provider. This isn’t a “one size fits all” approach; you may find that your requirements necessitate spinning up a separate thread for the “ApplyWebTemplate” method and waiting for it to complete before proceeding with feature activation. I describe this process in detail in Part 2 of this post. 1. Create a SharePoint solution that includes a subclass of SPWebProvisioningProvider. This demonstration creates a subclass of the SPWebProvisioningProvider class that instantiates the out-of-the-box Publishing Portal site, then customizes it. Depending on the complexity of your customization, you may need to wait for the provisioning to fully complete before you apply any customization. If that’s the case, you can do so with threading, which I explain later in this post. 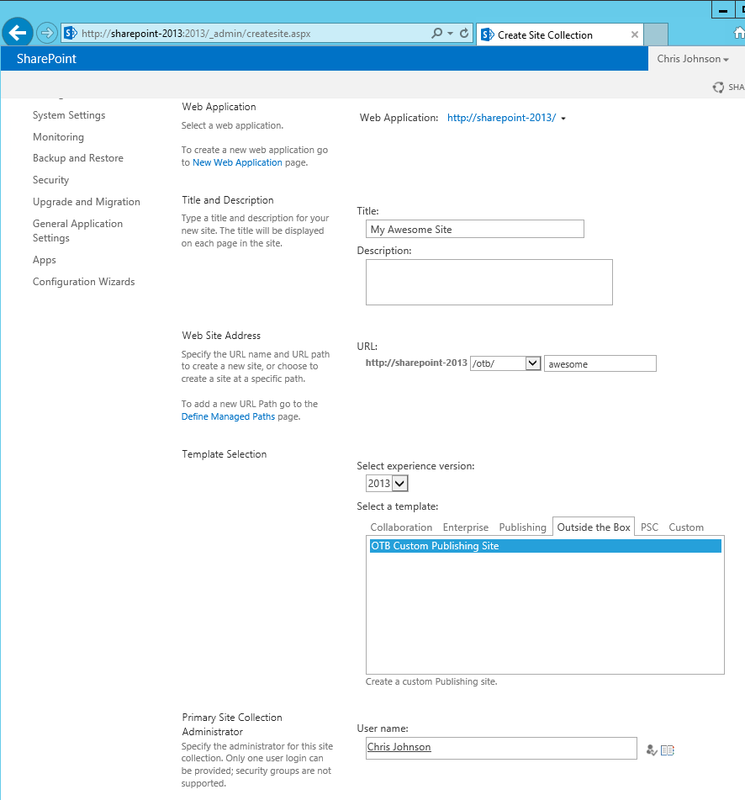 Create a new Empty SharePoint Project. Name the class file “CustomProvider.cs”, which will create a class called CustomProvider. 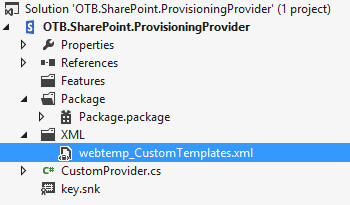 In the new class file, declare the “CustomProvider” class as a subclass of the SPWebProvisioningProvider class (don’t forget to reference the Microsoft.SharePoint and Microsoft.SharePoint.Administration assemblies). //the Publishing Portal template, "BLANKINTERNET#0". 3. Add a web template file (mapped to the TEMPLATE\1033\XML folder in the hive) with a custom web template to your solution and reference your custom provisioning class in the template definition. Description="Create a custom Publishing site." As aforementioned, the “ProvisionData” attribute gets passed to the provisioning provider class as the “Data” property of the “props” parameter; later on, I explain how we can use a “Switch” statement on the value of this attribute to determine what type of site to build. In the example above, I just set this attribute to “Publishing” because we are creating a publishing site, but we can put anything we want here. The “ID” attribute of the “Template” element must be unique and greater than 11000. That’s it! If you deploy this project as-is, you will find your custom template in Central Administration “Create site collection” page, under the “Outside the Box” (or whatever you set as the value of the “Group” attribute) category. Hey, listen! 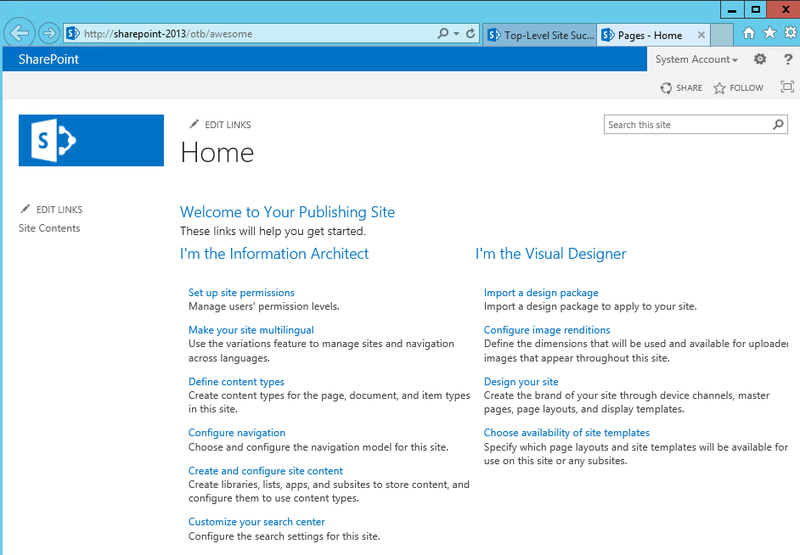 In Visual Studio, you have to set a SharePoint site for deployment, and VS takes care of resetting the web application for you. Because this assembly gets deployed to Central Administration, you will need to specify this as the deployment target, or reset the CA web application post-deployment. A full IISRESET also does the trick. You may notice that the call to the “ApplyWebTemplate” method takes quite a while to complete; this is because SharePoint is running through its process of implementing the out-of-the-box Publishing site template, which includes activating many, many features. This is a great segway to the more advanced implementation of a custom provisioning provider, in which we control the thread operation so that we don’t configure a site before it’s ready. I cover this strategy in Part 2 of this post. But for now, you have a new working Publishing site, and a blank canvas on which to write as much post-creation code as you wish. Any chance part 2 will be published? I want to remove some features from the provisioned web, e.g. the OOTB document library feature. I assume I need ApplyWebTemplate to finish first then? Sorry– I haven’t had a chance to blog lately. It’s next on my list. But yes, you should wait for that operation to complete. If you know how to spin off a separate thread, do that and wait for it to complete before removing features, and get a new instance of the SPWeb object before doing so. I’ll do my best to push this out sometime in the near-ish future. Thanks for reading! Stumbled on this only today! Thanks very much for writing this up, it looks very very promising. I know a fair few people who would be very keen to see part 2 if you were able to put it up, even if it was just a code dump for the time being it would be much appreciated. Cheers! This week's hair-thinner: The page you selected contains a list that does not exist.